You can rely on Shalamar Florist to hand-deliver fresh flowers and plants to all the major suburbs, hospitals, churches, funeral homes, and nursing homes in the Christchurch, CA area. We can send your flowers same-day delivery and next-day delivery to Christchurch and surrounding areas. Select Designer's Choice for our freshest flowers, hand-arranged by Shalamar Florist. Please let us know if you have a special request for any of delivery areas we service. Do You Need to Find a Nearby Cashmere, Christchurch Florist? Located in Cashmere, our florist delivers to an extensive range of public locations, in addition to private residences. Some of these include hospitals and other medical centres, places of worship, nursing homes and other assisted-living centres, and cemeteries, funeral homes and crematoriums. Beyond Cashmere, we also service suburbs like Addington, Brooklands, Yaldhurst, St Albans and Linwood. Whatever the circumstances, you can rest assured that your flower order will arrive promptly at its destination. Some of the hospitals and other medical centres we deliver to in and around Cashmere include The Princess Margaret Hospital, Cashmere Health, Cashmere Medical Practice, Christchurch South Health Centre, Hillmorton Hospital and Southern Cross Hospital. Similarly, the retirement and assisted-living communities that we service in the area include Bupa Cashmere View Retirement Village and Care Home, Bupa Parkwood Care Home, Merivale Retirement Village, Essie Summers Retirement Village and Thorrington Retirement Village & Rest Home. Among the churches and other places of worship to which we deliver in Cashmere are Cashmere Presbyterian Church, St. Augustine�s Anglican Church, Cashmere New Life Church, Beckenham Baptist Church and St. Saviour's and St. Nicholas Anglican Church. Sydenham Cemetery, Addington Cemetery, Memorial Park Cemetery, John Rhind Funeral Directors and G Barrell & Sons Simplicity Funerals are just a few of the funeral homes and cemeteries that we service. 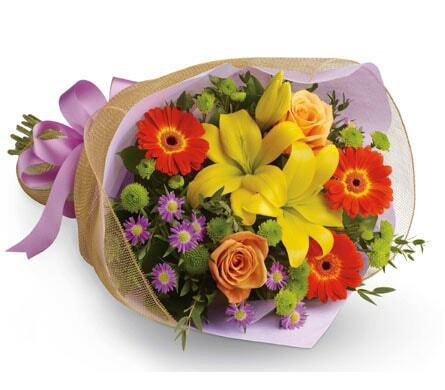 Everybody makes mistakes, and a thoughtful gift of flowers might be just the way to express your regret and apologies. Many of the arrangements we carry make ideal �I�m sorry� gifts by bringing love and light into someone�s life, and making up for past blunders. Our �From the Heart� bouquet really does come from the heart, and its pink-and-red colour scheme make it great for healing romantic relationships in particular. 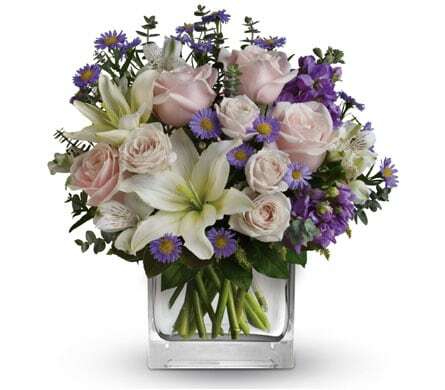 Filled with alstroemeria, lilies, carnations and roses, this arrangement is hard to ignore! The suburb of Cashmere is located in Christchurch, a major city on the South Island of New Zealand. Cashmere was named after a farm which once occupied the area; owned by Sir John�s Cracroft Wilson, the farm was a tribute to Kashmir in Wilson�s home country of India. There are a number of heritage buildings situated in Cashmere, adding to the historically rich vibe of the suburb. One of these is the Sign of the Kiwi small shop and caf�, which was built between 1916 and 1917. Another is the English Manor known as the Sign of the Takahe, which was constructed between 1918 and 1948 and now serves as a restaurant.